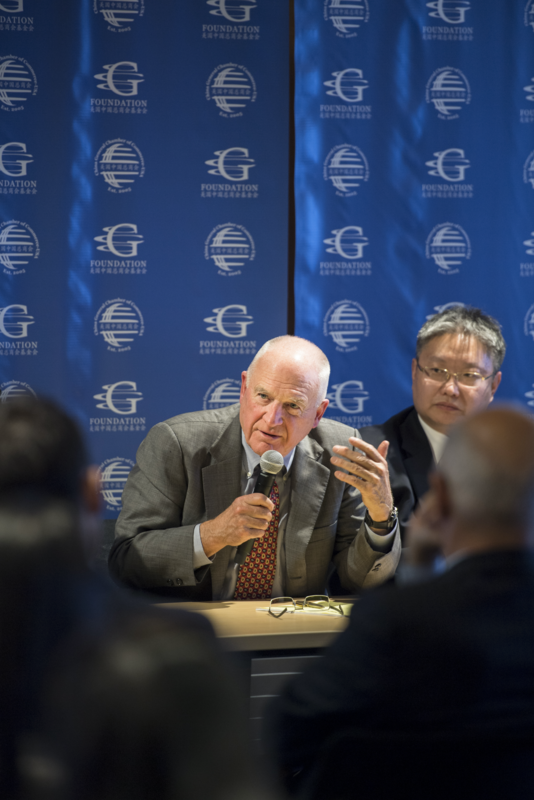 CGCC Launches New Report Two-Way Street: 25 Years of US-China Direct Investment - China General Chamber of Commerce - U.S.A.
Monday, November 14, 2016, China General Chamber of Commerce – U.S.A. (CGCC), CGCC Foundation, Rhodium Group, National Committee on U.S.-China Relations (NCUSCR), American Chamber of Commerce in Shanghai (AmCham Shanghai) jointly launched a new report Two-Way Street: 25 Years of US-China Direct Investment in New York, unveiling a novel and detailed picture of two-way direct investment flows between the United States and China from 1990 to 2015.More than 120 U.S. and Chinese business executives from CGCC member companies, policy makers and leading experts on U.S.-China relations attended the launching event. Chairman of CGCC, President and CEO of Bank of China USA Xu Chen, President of NCUSCR Stephen Orlins, President of AmCham Shanghai Kenneth Jarrett delivered welcoming remarks, followed by a presentation of the report by the author team from Rhodium Group and then a panel discussion with executives from EY, Board USA, Morgan Stanley and Newmark Grubb Knight Frank (NGKF). Xu Chen, Chairman of CGCC, expressed that, promoting an open and welcome business environment in the U.S. has always been on top of CGCC and CGCC Foundation’s missions. With Chinese investments in the U.S. growing at 30 to 40 percent per year for the past few years, this report truly helps us build a solid foundation for tracking the long-term impact of two-way investments in both countries. 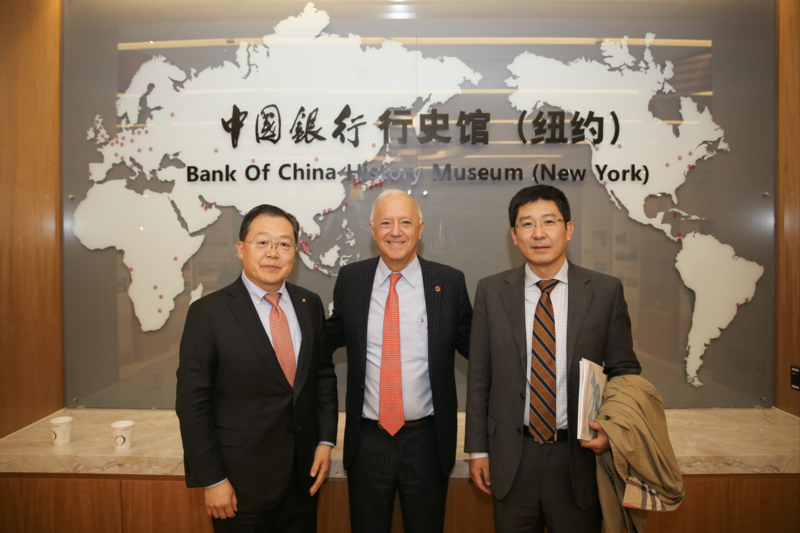 Stephen Orlins, President of NCUSCR, remarked “Today Chinese companies, especially members of CGCC that invested here, are building constructive relations with America. More than 100,000 Americans now work for Chinese companies.” “We witnessed a re-birth of the community around the abandoned GM facility in Dayton, Ohio, right after Fuyao’s $ 450 million investments creating 2,500 jobs,” said Orlins. Orlins emphasized that the volume of U.S.-China two-way investments can no longer be under-estimated; that’s where the significance of this report lies. In the presentation, Daniel Rosen, Founding Partner of Rhodium Group and Thilo Hanemann, Economist at Rhodium Group, delved into the methodology and key findings of the report. Two-Way Street created a new transactions-based dataset of U.S.-China bilateral investment by identifying, qualifying and counting every single FDI transaction over $ 1 million since 1990. The authors find the depth of FDI integration to be much greater than commonly thought: from 1990 to 2015 accumulatively, American companies have invested $ 228 billion to China, and China has invested $ 64 billion to the U.S. The numbers are two to four times higher than commonly used official statistics suggest. It is also found that Chinese Investment in the U.S. is now increasingly driven by private sector activities, with an average of 77% of the total investments for the past three years. Compared to 20 years ago, FDI is now a two-way street, driven by a complex mix of players and motives, with a diverse industry and geographic composition. Panelists shared their insights on the growing importance of FDI in the bilateral U.S.-China economic relationship. Wang Shuguang, General Manager of BOARD U.S.A., remarked that CFIUS (The Committee on Foreign Investment in the United States) review still presents a challenge for Chinese investors in the manufacture industry. Karen Lu, Director of Business Development of Alibaba Group (U.S.), introduced Alibaba’s practices in creating biggest value for local partners and business community when investing in the U.S. Shau Zhang, Partner & Market Leader of Americas of Chinese Overseas Investment Network of EY, together with Jack Wadsworth, Honorary Chairman of Morgan Stanley Asia, and Dennis Karr, Managing Director of NGKF, discussed the prospects of U.S.-China investment and trade relations with the upcoming new administration. Two-Way Street is a great collaboration between CGCC and Rhodium Group to better understand the changing dynamics of Sino-American economic relations. CGCC presents special thanks to all supporting partners of Two-Way Street. CGCC and CGCC Foundation will continue working dedicatedly to support research on relevant issues and promote communication in the U.S.-China business community. For complete English and Chinese versions of the report, interactive maps and other information about the US-China FDI Project, please visit: http://www.us-china-fdi.com.